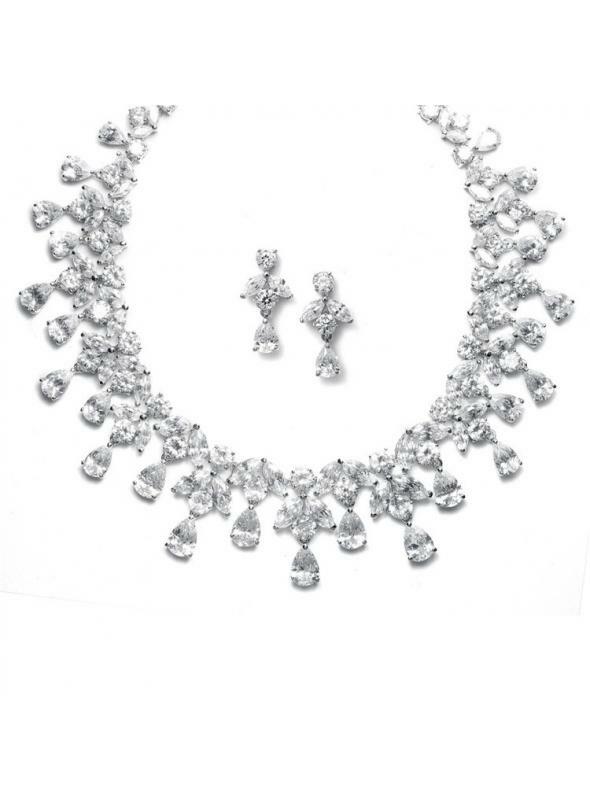 Be glamorous with this Romantic vintage inspired necklace and earrings set for second time around brides with marquis, pear and oval cubic zirconia. 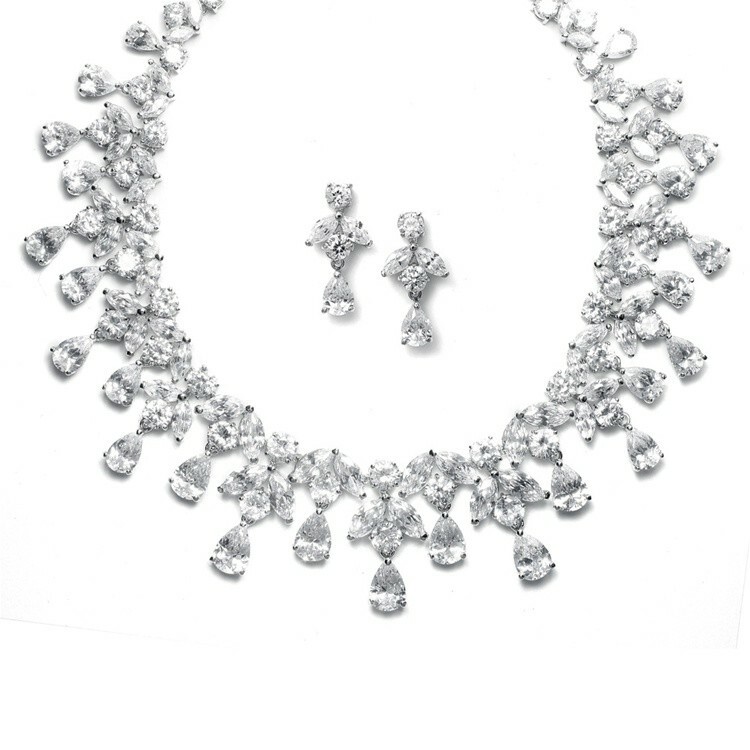 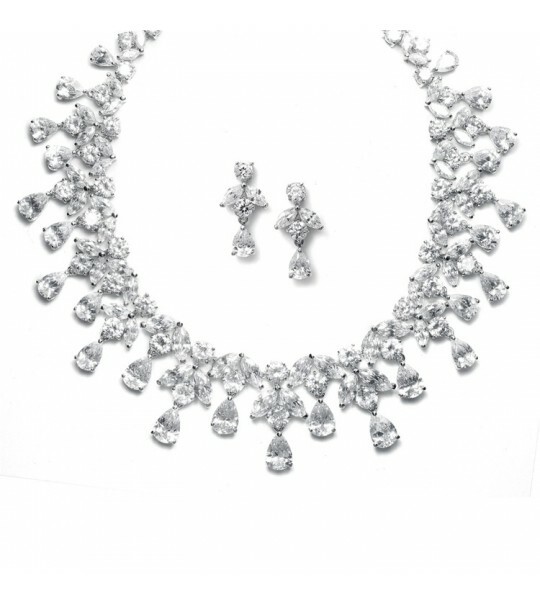 Take everyone by surprise with this gorgeous necklace and earrings set featuring cubic zirconia in marquise, ovals and pears. 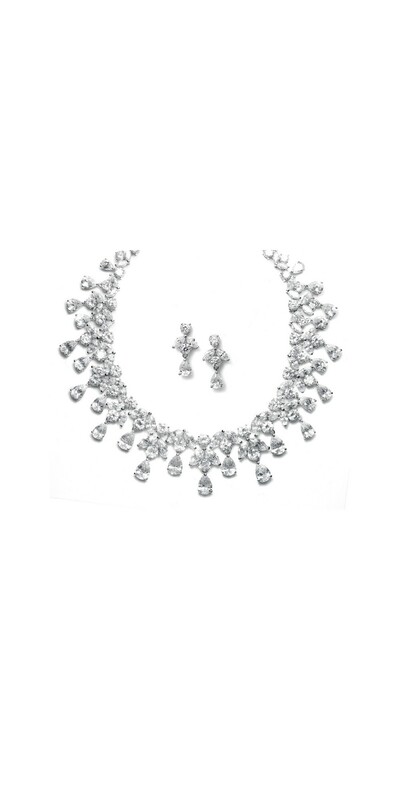 This beautiful silver plated necklace is measuring 17'', the center is 1 1/4'' and the earrings are 1'' h. An equisite vintage inspired Romantic necklace and earring set, perfect for second time around brides. 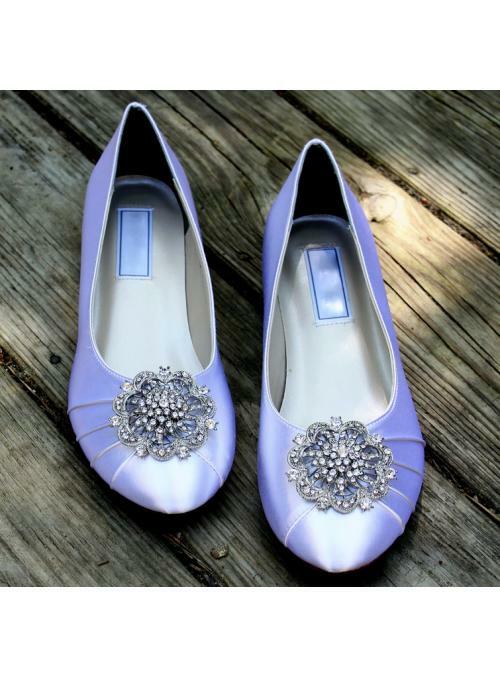 Match it with one of our beautiful vintage inspired romantic dresses and be sure to shine on your special day.